How many kilograms can your bridge hold? 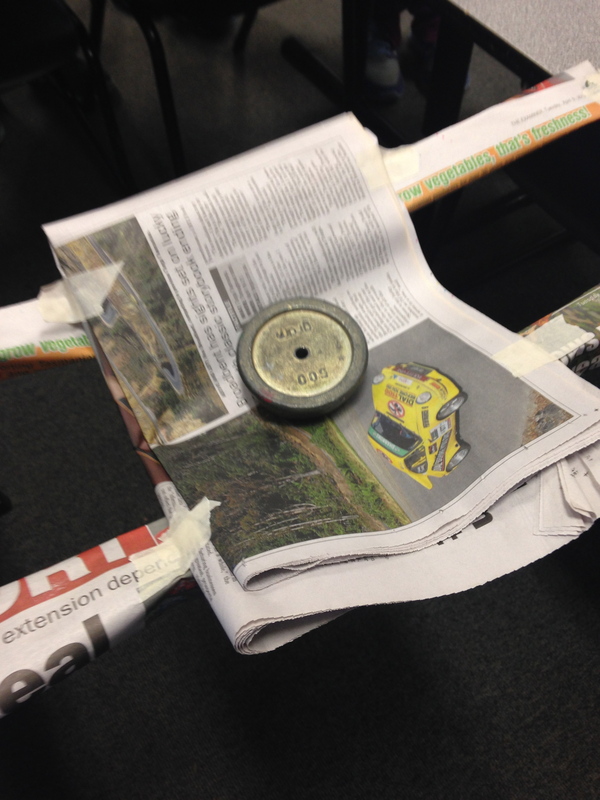 Using only one newspaper and two metres of masking tape, challenge teams of three or four students to build a bridge to span between their desks. Set a 20 minute timeframe to add extra difficulty! Once time is up, and all desperate pleas for more masking tape have been ignored, it’s time to stand back! Ask students to estimate the weight they believe their bridge will hold. Add kilogram weights, one at a time until the bridge breaks. Record the scores in a table of results. This activity could be worth revisiting after some research into famous bridges or bridge styles, or even later in the year to reflect upon how far your class has come in terms of team work and social skills.